Prevents Windows Update from performing driver installations and sending restart notifications. Helps achieve a more stable frame rate depending on the specific game and system. Press the Start button, then select Settings. Choose Gaming > Game Mode. 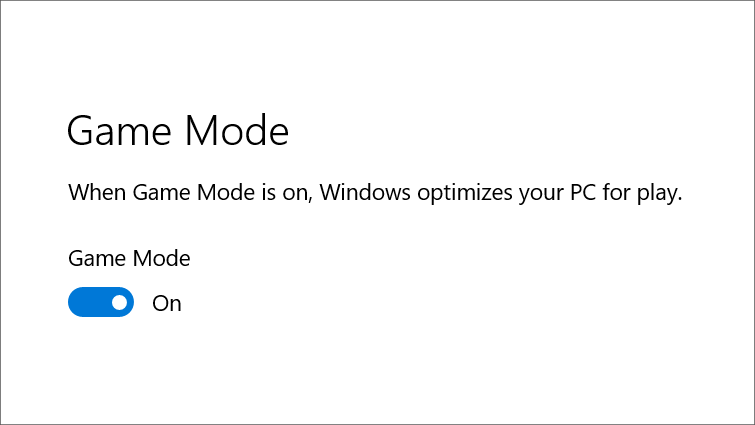 Turn Game Mode On or Off. Note: Game Mode is on by default. Would you like to contact Support regarding the "Use Game Mode while gaming on your PC" issue you were reading about or a different issue?